Paper packaging is the main driver of the persistently high paper consumption in Germany, and around the world. The majority is used to support the booming online retail sector. In 2017, for example, almost half of German paper consumption was for packaging (9.9 million tonnes). The paper that provides this packaging can have negative impacts on sustainability and social justice, including forest loss, climate change, and human rights abuses. to the city of Bremen. He referred to the increasing consumption of paper in packaging, and was therefore particularly pleased about the great response to the event. It was clear this was a good place to discuss solutions for ecological and social problems in this context. Sini Eräjää welcomed the conference guests on behalf of the co-organiser of the conference, Environmental Paper Network (EPN), a network of 170 NGOs worldwide working on paper, and supporting a common platform, the Global Paper Vision. Since packaging now accounts for half of paper consumption, it is rightly at the centre of the discussion. of cellulose also has enormous environmental effects (water consumption, pesticides, conversion of natural areas, genetic engineering) and the available land for tree production is limited. Also “innovative packaging” made of bioplastics (PLA) and other materials is not necessarily ecologically sensible, most of the data needed or the evaluation on the basis of life cycle assessments are missing. With an annual per capita consumption of 220 kg of packaging waste (regardless of the material), the avoidance of single use packaging, for example, through reusable systems, must therefore have top priority. Packaging could be designed to use fewer resources and the use of recycled material could be prioritised. 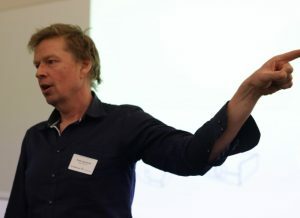 Olaf Dechow also spoke about there being no simple solutions. For individual items of clothing, a foil bag could be the ecological alternative to a cardboard box. Basically, there is no really sustainable packaging, as every material has an impact on the environment. Otto is also currently not pursuing the use of bioplastics because there is no evidence of ecological advantages. Otto is experimenting with sending goods that have already been packaged, if possible, without further outer packaging. Approaches for reusable systems make sense, but are also associated with higher return costs. Right now they are using only paper / cardboard and polyethylene in packaging and are currently testing boxes containing grass fibre. The company is open to new ideas for ecological improvement as long as they do not lead to large price increases (Otto ships over 100 million consignments per year) and as long as article protection, transport / stackability as well as information and presentation of the product are still guaranteed. For packaging, the following order is environmental friendly: Avoidance before reduction before substitution before recovery. Almut Reichart announced a new “Blue Angel” label in order to certify environmentally friendly mail order business. This is all the more urgent as the consumption of paper packaging in the mail order business increased by 540 % between 1996 and 2005. Currently, 119 kg of the annual 247 kg per capita paper consumption in Germany is already accounted for by packaging. However, a high proportion of this amount is accounted for by industry and commerce. Paper is a resource-intensive product that requires a lot of wood, energy and water to manufacture, and wastewater is also contaminated with chemicals such as organochlorine compounds. After all, the production of one tonne of fresh fibre paper requires the same amount of energy as the production of one tonne of steel. Although the environmental balance of recycled paper is significantly better, packaging made of recycled paper is also associated with the consumption of resources. 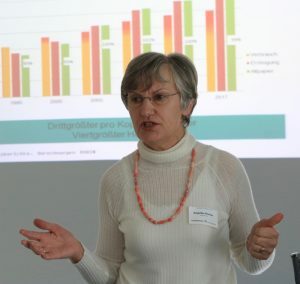 Ms. Reichart pleaded for the increased use of reusable packaging in shipping. Also from her point of view: Avoid before recycling. In particular, composite materials and problematic chemicals should be avoided, which make the later recycling of packaging more difficult. Higher recycling rates for packaging are also prescribed by the new Packaging Act in Germany. 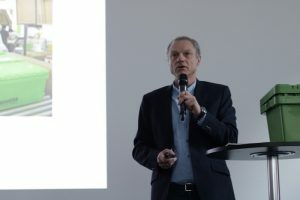 Lothar Hartmann from e-retailer, memo, stressed that the industry could also do something. With the memo-Box, he presented a reusable shipping system that makes paper boxes superfluous. Since the handling of such a system should be as simple as possible, memo does not charge any additional fees, the boxes can be returned to memo as a regular return. Due to advertising and external and internal communication the share of the memo box’s shipments has increased and currently stands at 23%. After more than 55 rotations, the memo-Box is more environmentally friendly than a conventional paperboard box. The concept had emerged from a Deutsche Post project, but the company had discontinued the system. The memo box was also tested for delivery by suppliers, but this did not work due to excessive volumes. packaging-free products. 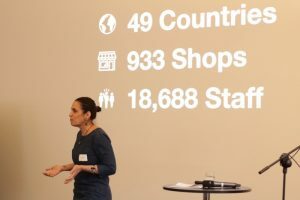 Packaging is a key issue for the company, so a lot of testing and experimentation is going on in this area – from a shop with free coffee for people with reusable cups to concepts where consumers should bring the packaging back to the shops. In Japan, Lush had already tried returnable transport packaging, but it didn’t work so well. Now there is a new pilot project in England, and in Germany, too, they would like to become active in the case of alternative packaging. 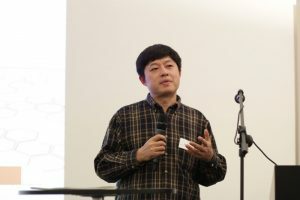 Wen Bo presented impressive figures on the volume of packaging use in China. In China, 37,000 parcels are dispatched per minute. In 2017, 40 billion parcels were sent, 28% more than in the previous year. At the same time, the recycling rate for transport packaging was less than 20%. Since 2018, a new Green Standard for Packaging has been in force, which aims to increase the proportion of biodegradable packaging in shipping to 50% and establish a new recycling system for shipping packaging by 2020. However, the regulations are more guidelines than strict legislation. Wen Bo made it clear that the price of paper was decisive for the level of consumption. After the price of base paper had risen by 70% within a year, this had increased the pressure on manufacturers and led to a shortage of cartons throughout China. In his view, rising prices could guide people to value paper more and waste it less. In the meantime, Chinese mail order companies are also experimenting with reusable systems and reusable boxes in order to control rising costs for cartons. Panel discussion: Reusable and unpacked into the future? 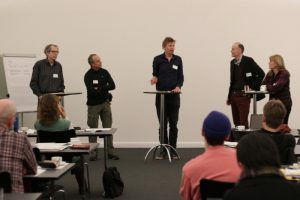 The first day was finalized by a panel discussion with Christoph Thies (Greenpeace), Sergio Baffoni (Environmental Paper Network), Winfried Peters (Forum Ökologisch Verpacken) and Friederike Farsen (Verbraucherzentrale NRW). The panelists agreed that there was a high level of attention on the plastics problem, while paper consumption received less attention. This false distinction between plastic = evil and paper = good has to be overcome. Instead, there is a need for smart solutions that limit excessive consumption and at the same time create satisfaction. The panelists also discussed the need for regulation, for example taxes on paper, in order to price in external costs such as environmental damage and thus make the impacts of paper more transparent for consumers. Consumers can decide which product they want to buy, but not how things are packaged. It certainly makes sense to save paper by selecting packaging cartons that fit more closely to the respective products and thus transport less air. Although the use of multiple box sizes is more expensive, it also avoids frustration among customers. Savings through thinner material and innovative production are also possible and also in the interest of the manufacturers, who can thus avoid costs when purchasing paper. There was a consensus about the fact that there were also unnecessary or redundant packaging that no one would miss. 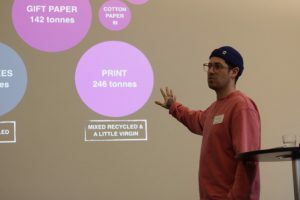 At the same time, it was pointed out that a large part of the paper consumption for packaging does not take place at the end consumer, but in logistics between companies and in industry. Ultimately, there is a need for better regulation – but this should not specifically target only packaging, but material flows and overall resource consumption. 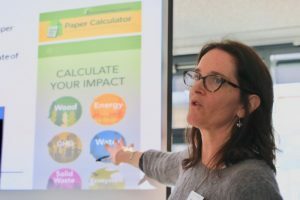 Mandy Haggith, from Scotland, urged the environmental organisations to concentrate on the topic of paper saving and not to let discussions on topics such as doing better recycling to lead them away from this goal. The EPN has always had the primary goal of addressing the overconsumption of paper products in its Global Paper Vision, and has supported and coordinated various activities with its members. 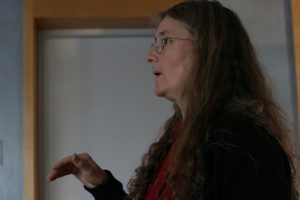 At an EPN conference in Scotland in 2016, there was agreement by participants there to focus on two fields of work: disposable coffee cups and packaging. A joint statement on throwaway cups, the #Cupifesto, was produced and was advocated for, including through global days of action to highlight the issue. There is a high interest from NGOs in engaging on packaging solutions, and there is optimism this conference could be the starting point for a roadmap and commitments to increased activity on this stream of work. 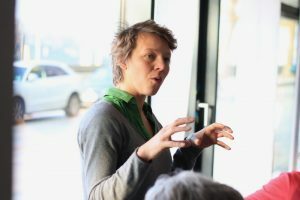 Mandy shared her experience that clear messages are necessary in order to communicate the topic in an understandable and unambiguous way, and that a joint NGO statement saying: “No more single use packaging,” could help. 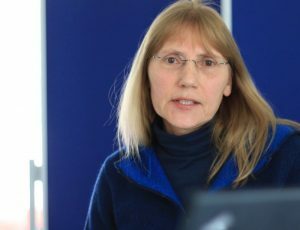 Her colleague Anne Pernick from the USA reported on paper-saving initiatives from North America. Some of the areas that have been a focus have included receipt paper, copy paper, junk mail and phonebooks, and coffee cups. But packaging is the largest volume of paper use and getting increasing focus. Shifting of cardboard recycling from retailers to individual residential homes due to e-commerce is also part of the current challenges in the US recycling system. Young people today want sustainable packaging, and the industry knows that. With their marketing, the paper manufacturers are encouraging the misperception that paper is a harmless material with a low ecological footprint. In a campaign by the US Paper and Packaging Board (an association of paper manufacturers), this perception is specifically reinforced. We should get out of the discussion about whether plastic or paper is worse and instead simply say goodbye to the disposable idea, says Pernick. Anne also noted how EPN supports work on other aspects of choosing the most responsible paper, including recycled fiber content, avoiding endangered forests, well-managed forest fiber, alternative fibers, respect for human rights, etc. lot of weight and thus paper. In particular, she suggested that the production of paper and cardboard should not be based exclusively on wood, but also on alternative fibres such as wheat straw as a raw material. The use of agricultural residues for paper production has a good ecological balance, especially since wheat straw has so far simply been burned in some regions of the USA. In the USA, a new paper mill is already being built to produce tissue paper and packaging paper using wheat straw. Availability of wheat straw, however, varies greatly from region to region. 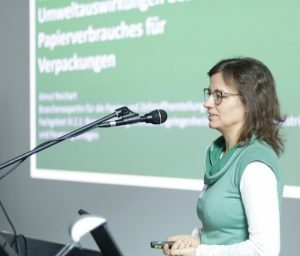 Angelika Krumm had statistically evaluated the consumption figures of the countries of origin of all conference participants and once again made clear the high level of paper consumption in the industrial nations. The question of how reliable the figures are for the various countries, which are usually taken from the statistics of the paper industry, is always an important one. Germany now has the third largest per capita paper consumption for packaging, after Finland and the USA. In other industrialised countries such as France, Denmark and Australia, consumption is only about half as high, while in the Netherlands it has fallen sharply. How this clear difference comes about remains an open question. It could be helpful for the work of the NGOs to ask the VDP (German association of paper manufacturers) or the respective countries for this background information. 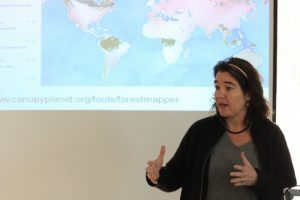 Friederike Farsen, who presented her campaign “Packaging troubles”, explained what environmentally conscious consumers really mind about paper packaging. Consumers were asked to submit online examples of packaging that had annoyed them. There had been many submissions from consumers who were annoyed about too large or superfluous packaging. 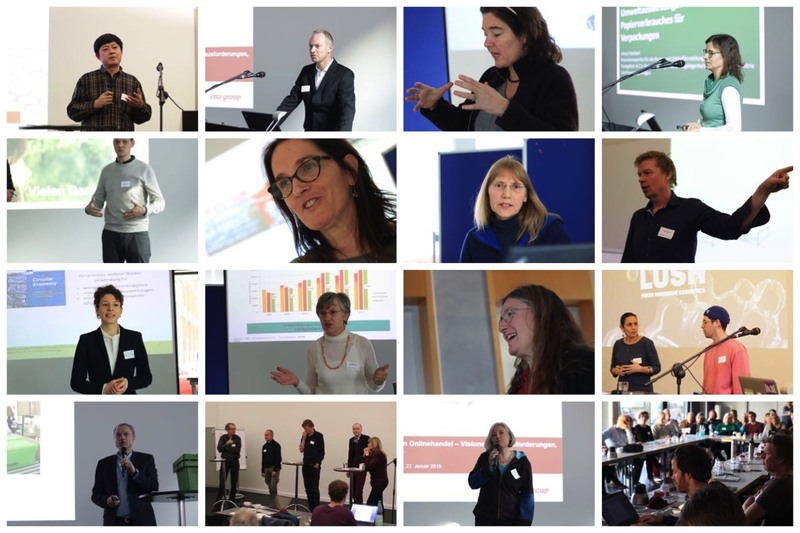 The collected annoyances were then presented at the European Waste Prevention Week 2016. Subsequently, 66 companies were confronted with the complaints, 58 of which reacted but only 5 have changed anything so far. The other companies had pointed out that their company’s packaging was customary and accepted on the market and, for example, underlined the high quality of the products. However, a recent study by PriceWaterhouseCoopers showed that 94% of consumers were of the opinion that less packaging material would be sufficient for many products. It was also interesting to note that 70 % of consumers were in favour of a deposit system for returnable mail-order packaging. 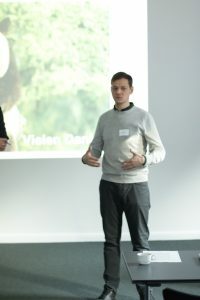 Sina Leipold predicted that the current anti-plastics policy in Germany and the EU might further increase consumption of paper packaging. 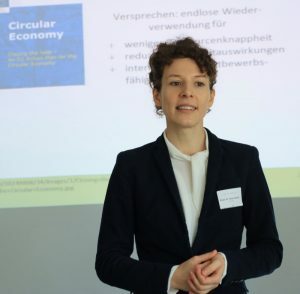 To find out more, she and her working group will carry out a study on the expected effects and possible social and ecological consequences of the new Packaging Act in Germany by conducting interviews with experts and stakeholders on the subject. 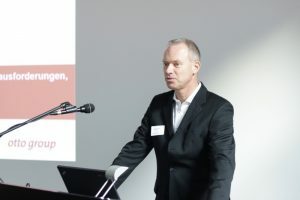 There are three hypotheses about where the policy could lead 1.It does what it is supposed to do, or 2) It has low impact because the extra costs to the industry are low and it’s easy for them to pass the costs onto consumers, or 3) The policy will strengthen the trend away from plastic-based to bio-based, mostly paper There are already contacts and discussions with various companies and trade associations, while so far no statements have been made by NGOs. Many initiatives on EU packaging policy, for example, have resulted from NGO campaigns (e.g. garbage in the sea).